I’ve said it before and I will say it again: We Community Gardens Collard Green Cook Off is one of my all time favorite events of the year. There are many reasons why, but my top two reasons include the minute you walk through the doors you are greeted with L-O-V-E and the smell of greens/cornbread cooking in kitchen. But then there’s also the friends you see, the health messaging you receive, and (of course) Tommy Fluker’s music. 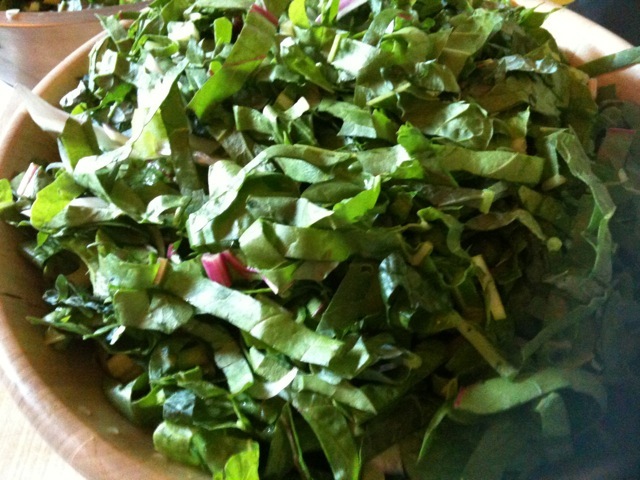 So to celebrate my friends and community partners, I wanted to do two things: 1) post a “throwback” Food Revival story from last year highlighting Ama Shambulia’s (WE Community Garden Director) Marinated Greens recipe 2) link you to this year’s winning Collard Green Cook-Off recipes! You’ve heard me mention West End Community Gardens many times on Food Revival, but there’s one person in particular I’d like to highlight here: Program Director and Chef Ama Shambulia. Ama is many things – chef, program director of WE Community Gardens, master gardener, urban gardener, teacher, listener, community member, and most important to me…my friend. To tell the truth, Ama and I make a great pair. I’m usually buzzing all around clapping my hands and talking ninety to nothing. Ama is usually listening very carefully, choosing her words wisely, providing a calm, steady energy and guidance to our partnership. At the end of the day, our vision is united and our partnership is strong. No matter where I go in West End, I hear the same thing. “Have you had Ama’s Greens yet?” I’m pleased to say, “Yes, I have.” Traditionally, greens (at least in the South) are cooked to death with pork, which tends to strip them of all of their nutrients. Ama’s Greens, on the other hand, remain fully in tact and tossed with a delicious, bright marinade that will knock your socks off. No salted pork needed. I’m not kidding, folks. Greens: Take your Kale, Swiss Chard, Collards and roll them up to look like a cigar (like you would do if you were slicing basil) and then slice to get thin ribbons of greens. 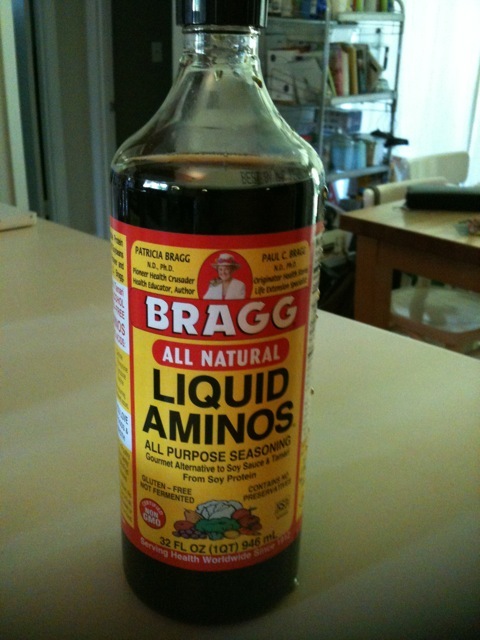 Braggs Aminos: I found my bottle at our local Whole Foods Market. I’m assuming a soy sauce might work if you can’t find the same product. You can access the recipes by clicking here. While you are there, please consider making an online donation. Finally, be sure to watch the video featured on this page to learn more. 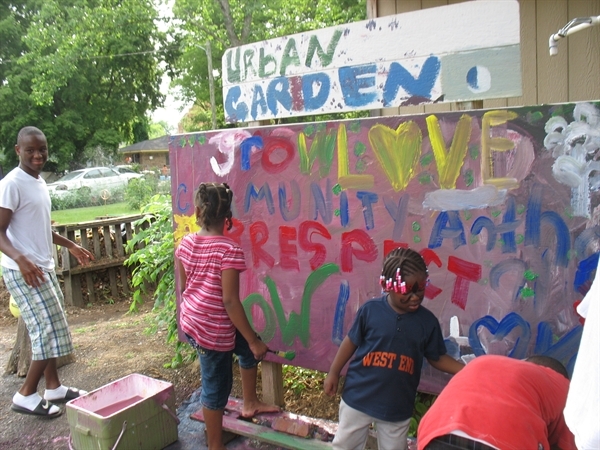 The entire WE Community Gardens team do amazing things for West End and our entire Greater Birmingham community.